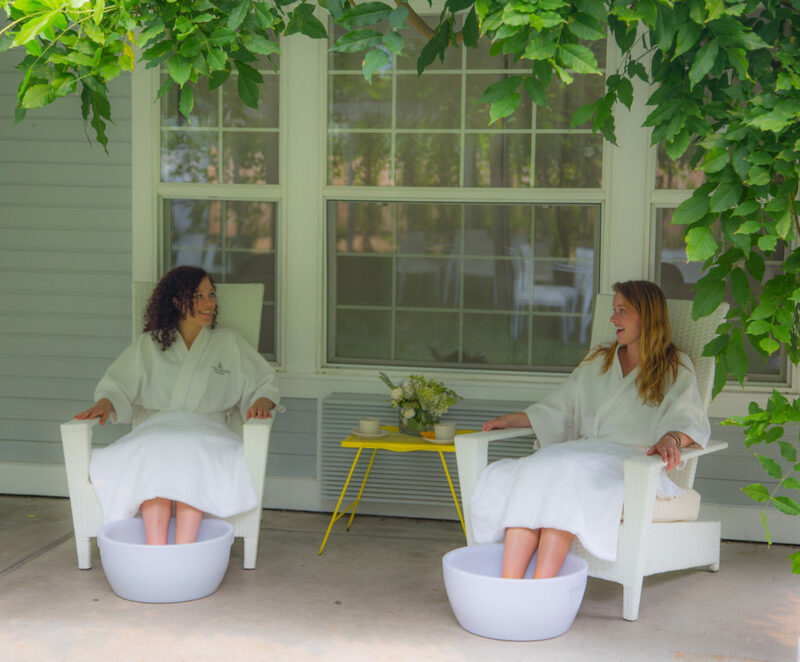 The perfect package for a girlfriend’s getaway, enjoy services for two in our on-site Waterstone Spa. Overnight stay for two in the guest room of your choice. Grab a friend and dive into rejuvenation! Alternating between therapists, you and your guest will each enjoy a 60 minute facial featuring the organic Hungarian skincare line, Ilike, as well as a 60 minute massage with the essential oil blend of your choosing from one of our experienced massage therapists. Between treatments we will have for you a bottle of chilled champagne and hand-dipped chocolate covered strawberries to enjoy during your services. Finally, complete your perfect day by enjoying the privacy of your luxurious guest room, immersed in the soaking tub taking in the healing and rejuvenating qualities of our thermal hot springs waters. Please note that spa appointments are not guaranteed, in order to ensure we can accommodate your services please call us directly to schedule your services.